RPF has conducted on Research on Understanding Attitudes, Perceptions, and Behaviors of Male Politicians Regarding Gender Equality and Human Rights at Bharatpur Municipality, Chitwan, Nepal. Enjoy the reading. 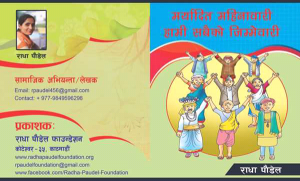 As I mentioned in Annual Report 2017, Radha Paudel Foundation completed second year in July 2018. Here, I would like to extend my sincere thanks and gratitude to each of you who supported me and cause even during difficult situation of my professional career……. Radha Paudel, Director of Radha Paudel Foundation has formally and informally involved for assessing the situation of dignified menstruation at school, need and urgency of dignified menstruation in school curriculum which was organized jointly by Swiss Water and Sanitation Consortium (Swiss Red Cross through Nepal Red Cross Society, Helvetas and Terre des hommes in Nepal) and led by government of Nepal specially Ministry of Education included Curriculum Development Center (CDC), Regional Education Directorate and Regional Health Directorate. The developed reference books have already been distributed and are being used in all government schools of Dang and Rolpa. If you need more info contact RPF and NRCS, Banke office. Radha Paudel, Director of Radha Paudel Foundation prepared her trip report from west Nepal, June, 2016. Here, foundation like to share with you all in order to let you know the status of peace, human right, empowerment, Menstrual Restriction as real case. Many experts do consider rural and under develop for the Kathmandu only. We strongly believed that the national identity change if we consider to change from west Nepal. Enjoy reading ! Radha Paudel Foundation conducted series of interaction programs with women politicians from various walks of life in Hetauda, Makwanpur, Nepal in order to review the status of women and women politicians after a year of election at local level in July, 2018. Report on the discussion with local stakeholders, municipality members, mothers groups and faith healers about menstruation and menstrual rights. 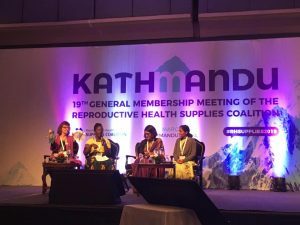 As a result we enhanced the knowledge of menstruation and it’s physiology, developed a common understanding on the rule of laws hereof and expressed the importance of commitment in terms of the abolishment of menstrual restrictions. 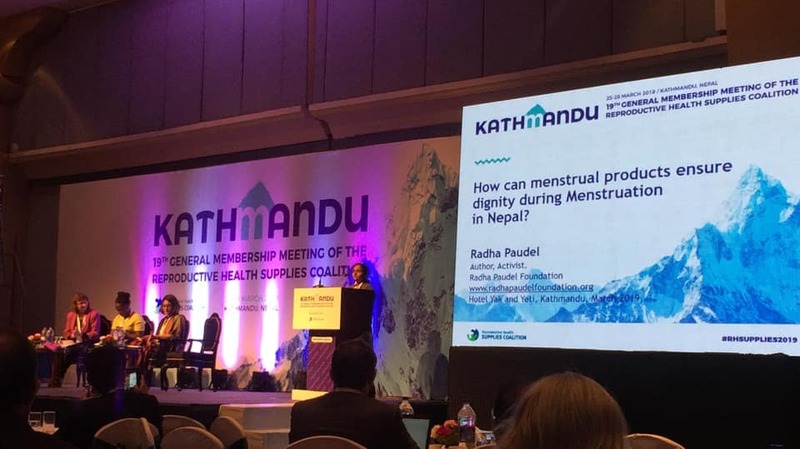 Article written by Radha Paudel for the newspaper Kathmandu Post about gender equality and dignified menstruation in Dailekh. Radha Paudel Foundation did an assessment of menstrual practice in the district of Dailekh in Mid-Western Nepal. As a result of the analysis it comes up with recommendations for all the relevant stakeholders on how to ensure dignified menstruations . 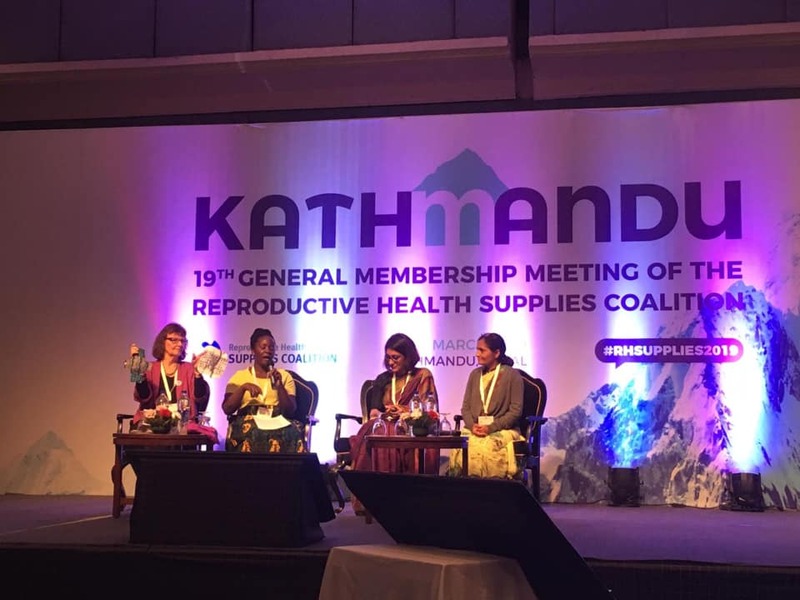 Radha Paudel Foundation conducted a study to explore the social, economical, political and menstrual practices of Mahdesh women, being inhabitants of a region in the eastern Terai of Nepal. The main objective was to thereby assess their empowerment in those different branches. 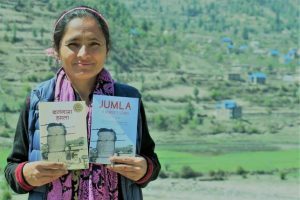 Radha paudel who has never missed a chance to support for dignified menstruation has again contributed from her side by writing a book entitled “Dignified menstruation is everyone’s business ” published by Radha paudel foundation. The book explains the actual responsibility of one towards dignified menstruation deconstructing all over 4 dozens of myths and misconceptions. The foundation published the book for the sake of balanced human right , peace , sustainable development and most of all empowerment .